Welcome back to MiddCreate Spotlight, a new blog series hosted by the Office of Digital Learning. In this series, we will highlight one MiddCreate site at regular intervals on our blog. MiddCreate is an initiative at Middlebury that offers faculty, staff, and students their own subdomain spaces and easy installation of open-source applications such as WordPress, ownCloud, MediaWiki, Drupal, Known, Scalar, and Omeka, among others. MiddCreate users can decide what tools they want to set up on their domains and have full control over their applications. MiddCreate encourages users to take ownership of their digital identity as well as to develop the digital literacies that will serve them well throughout their academic and professional trajectories. 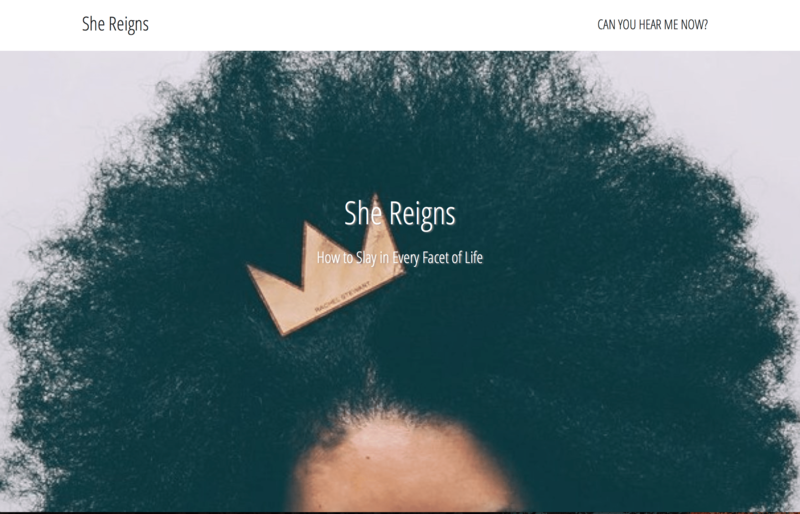 This week in MiddCreate Spotlight we are highlighting a MiddCreate site created by Briana Garrett, a student at Middlebury College. Briana was kind enough to answer some questions we asked her about her work with MiddCreate. ODL: How did you discover MiddCreate/What is the purpose of your MiddCreate site? Briana: I discovered MiddCreate through the Center for Social Entrepreneurship. We were told that this would be a great way to get our voices out there. The purpose of my MiddCreate site is to be a hub of thought without the often over intellectualized jargon that would make the stories that I published inaccessible or uninteresting to many readers. I hope to make people laugh with quick posts that provoke thought and perhaps help people get through the day. ODL: What apps did you install on your domain, and how did you create your site? Briana: I created my site with a template. I am not too tech savvy so I mostly used pictures from the internet and then I used them for my URL photo and my home page photo. ODL: What are your plans for further development on your site? Briana: I want to attract more traffic for my site but i know that I have been a bit M.I.A for a couple of months, and I would really like to get back into writing. Hopefully, I will be able to revamp the site and finish some articles that I did a long time ago. ODL: What advice would you give to someone just starting out on MiddCreate? Briana: I would advise them to really spend time developing the image and the brand that they want to create using the site, and to stay consistent! The Office of Digital Learning encourages our readers to check-out Briana’s MiddCreate site here.